I love sharing tips and tricks. I have so many of them and I think you may enjoy reading about them. I do hope that you have a tip, of any type, to share. If so, please comment and share, that is what a blog is all about. My first tip concerns that terrific wall decor that DB1921 did just a few weeks ago. 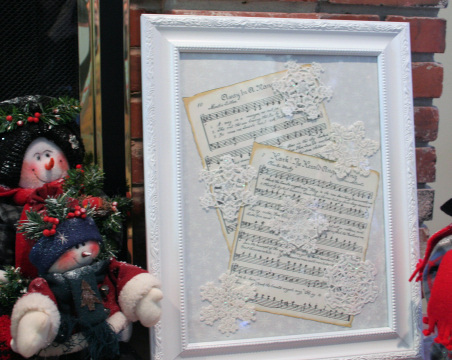 I love this project and the details are in this blog but I am going to show you how to get the layout on target. Of course this project can be done with so many themes that it becomes a quick gift with a lot of pizzaz! I have done many pieces for my Brides at my Etsy site. I don't frame them for a number of reasons, one of which is that the glass front is subject to breakage in the mail. So my Brides or their giver has to have them framed. Many chose to have it done professionally. I have had a client tell me that the fabric, which is usually a canvas type of weight, is not in alignment. That makes it more difficult for the frame creator. I don't want to sell something that is not perfect. I take great pride in my work and I know that you all do as well. 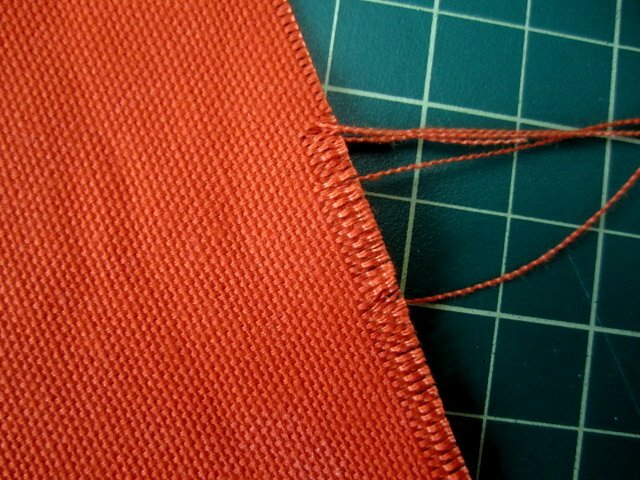 I cut my fabric to my specifications and had tried to peel away the edge of the fabric for a straight line. 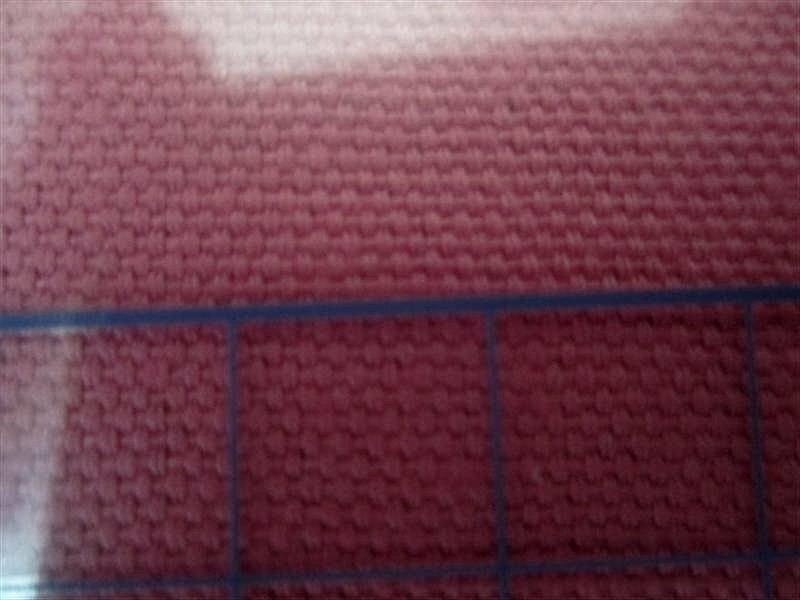 But that does not help me to put the fabric into the embroidery frame. Because of the density of the fabric, I am not going to hoop it. That means that the fabric is subject to movement until I have the baste stitches in place. So I came up with this trick. I hooped my cutaway stabilizer and tightened the frame. I used my layout grid that came with my hoop and placed in on the fabric (not yet in the hoop). Once I got it aligned (not yet on this photo), I taped the grid to my fabric and layed the grid into the hoop. It was still a little moveable, so I removed the grid and placed the fabric on the hoop. 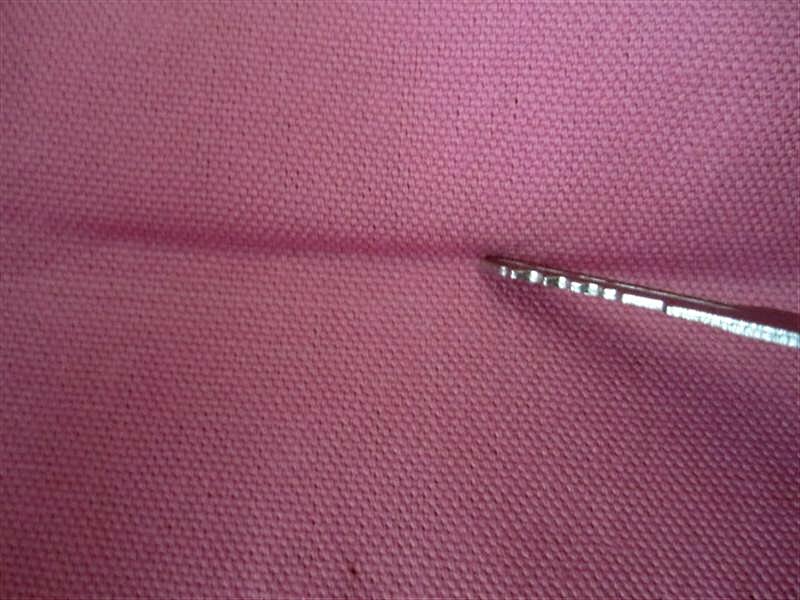 After a little maneuvering, my key left a mark on the fabric and I was really ready to pin the fabric to the stabilizer. When I got to the machine, my design already had the baste incorporated in to it and I could see from that stitching, it was clearly on the line. My next tip is one that you can use in embroidery and around the house. 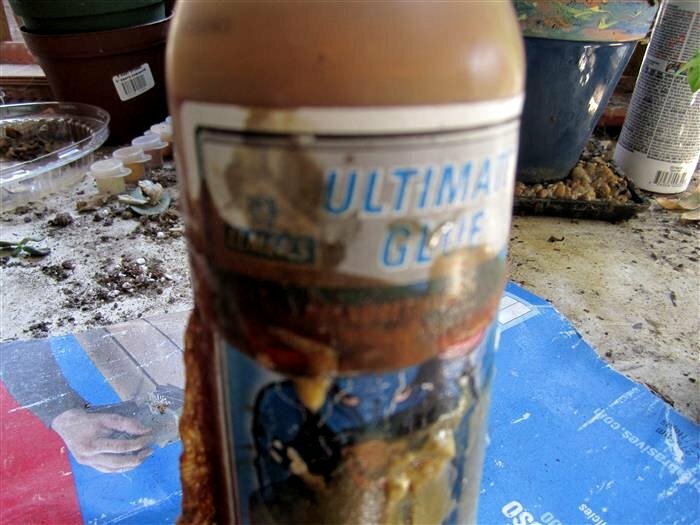 All of us have bottles/tubes of glue that are clogged at the opening. Some of them cannot ever be used again, but I have a trick for those that may have a little more glue to offer. I used an old but relatively sharp knife to create a hole toward the top opening. This is a Gorilla/Ultimate type of glue and obviously, I have done this more than once. This glue, in this case, expands when it hits the air so it has a lot of old glue on it. Expect a mess (always even if the original opening is used) but this does work. I initially put the bottle on a piece of cardboard to protect the work area beneath it. Your small cut, which could be from a pin insertion or a knife cut will allow the still workable glue to be used. I cut near the top so that I can keep cutting until I get down to the bottom of the container. It isn't the price of the glue, they are usually inexpensive, it is the inconvenience of tossing a nearly full container into the environment that makes me use as much as possible. Got a tip, even if it is not an embroidery tip, we all love to know the things that can be done with some simple adjustments. I own a Brother PE-150 embroidery machine. I have several of the Brother design "cards" that fit into the machine. There is no USB or disk space that can be accessed on this machine. (it is OLD) I would like to be able to download and transfer designs to a blank card and build up my library of available designs. I ordered the Magic Box Plus that is supposed to transfer designs BUT the problem is: the Magic Box Plus program only works on 32 bit computers and not the current 64 bit computers. Do you know of any program that I can use with a 64 bit computer that I can transfer files and use them in this embroidery machine? I really need some help and guidance in this and would appreciate any information you can provide. Reply to jdecker - If your PC is a windows 64 bit OS and the program is for Windows OS - you should still be able to run it. A 32 bit program will run on a 64 bit OS - its the reverse that can't be done - can't run 64 bit program on 32 bit machine.